Gemma Steel is one of a number of British runners who are taking on the Irish in the Garmin Great Ireland Run in Dublin on Sunday (April 15). 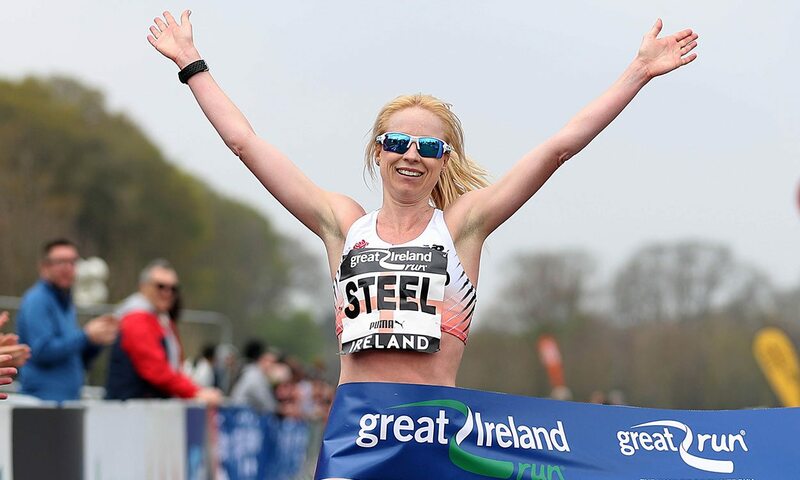 Steel tackles the 10km in Phoenix Park – Europe’s largest urban park – alongside fellow Brits such as Naomi Taschimowitz. Former European cross country champion Steel clocked 73:39 at the IAAF World Half Marathon Championships recently and also ran 72:37 at the Doha Half Marathon in January. The Brits will face competition from the Irish on their home soil in the battle for the Sean Kyle Memorial Trophy, which is given to the top team based on the cumulative time of all runners. The Irish team has won the trophy for the past two years and includes Kerry O’Flaherty, Shona Heaslip and Mick Clohisey – with the latter aiming for his first individual win in the Great Ireland Run after a couple of runner-up finishes. There will also be a scrap for honours in the All Ireland County Challenge with Donegal aiming to retain its title. Entries for the National 10km Championships can be found here. Last year Steel regained the title she won in 2015, while Mark Christie won the men’s race. Check out greatrun.org/great-ireland-run to find out more.